There is something about organizations today that is prevalent. The feeling that we just can’t go fast enough. Many don’t really know the organization’s capability, or aptly characterize what is going on. To know precisely where and how to improve may be lacking, let alone be aware of the impact of it all. Teams themselves get impatient and start to lose some of their calm about the problems that beset and beleaguer them. So what if we were to make a few basic premises about the organizational landscape. 1) We are all here to do the right thing. Not everything will help, but wouldn’t it make a difference knowing that we ALL want the software that we deliver to not only rock… but paper and scissors as well. MakerBot’s 3-D printer MakerWare will install and tell you that you are installing a bundle of AWESOME. I wish we were all as excited about developing and using our software! Trusting that we want to do better lets me have some patience as we try a few things to improve. Being open and honest also means we are saying directly what concerns us. It also means that if we see a problem then we also know enough to get in there and be a part of the solution. We need EVERYONE’S creativity and innovation. Not locked in up in a solitary head, but communicated and collaborating with the team. It also means that when teams get moving, they will be fairly quick to act in solving and addressing problems. 2) Organizations are fighting for growth – or sit back, stagnate and eventually become obsolete. The universe allows very few things to continue without some form of upkeep, maintenance, and eventual improvement. Mathematical equations might be one exception, but algorithms which are great at data mining are not. Software is the same way. Technology improves our platforms of usage with smart phones and tablets. Education and expectation grow the demand of an increasingly integrated and aware customer base. Innovation changes paradigms and allows some great advancement or advantage. Moving forward and improving is a continuous adaptation. The time to react, from perception to deliverable is now the measure for organizations. How nimble, how agile are we? 3) There are no limits, only plateaus- get beyond them. Bruce Lee said something to this effect. We have a tendency to complain about limited memory, limited attention, limited time. Another way to put it is cognitive load. The ability to think is relies on internal processes such as motivations, reasoning, planning, learning, and solving. External processes would include perceptions, stimulus, and actions. Most of my own limitations start with where I think I can’t. I have always been most rewarded in pushing beyond what I’ve done before and doing it from the perspective that I CAN… GO. Investing time in the communication, collaboration, and the cultivation of the team is important. Remember the team is the only thing in the organization that will do the work and get the software to done. Investments in great performing teams will allow the organization to really move. Just as individuals collaborate, so do teams. It starts to scale. I know some individuals out to change the organization. How much more influential might teams themselves become? How about programs of teams? We might not be able to go fast enough. I will say, however, that if we see the improvement – our rate of change will increase as we push against our own limitations as an organization. When a company has made some inroads to being agile it seems as if something is always under construction. A process, a team, the software… something. On a real construction site, it’s a hard hat that provides some degree of safety. LOOK OUT! The same might be said for an agile environment. But within the context of thinking caps, I think of a hard hat as a mode that seems to be stuck, frozen. There is something to an agile environment that puts us into the edge and makes explorers and problem solvers. There are always a few that seem to hunker down and are really uncomfortable with the participation. Sometimes it is trust, sometimes it is a slower rate of acceptance… the reasons are legion. A good way to take some team members and start them down the road to perspective and context switching is Edward de Bono’s 6 Hats Exercise for a retrospective. Now this isn’t a Scrum thing, but it is a way to get team members to become flexible thinkers. To describe it quickly – each of the six ‘thinking caps’ represented by a color has it’s own way of thinking. Take a look. Black- critical, Yellow – optimistic, White – factual, Blue – process, Green – creative, and Red – intuitive. Scrum masters might want to switch up their entrenched black and yellow thinkers in order to move a team forward and get them to be agile thinkers. Mix it up, rotate or randomize. Lincoln once said that if “I were given six hours to chop down a tree, I would spend the first four sharpening the axe.” In his wisdom Lincoln was differentiating between activity and achievement. Something John Wooden as a coach would often tell his teams were two very different and distinct things. Activity. Achievement. 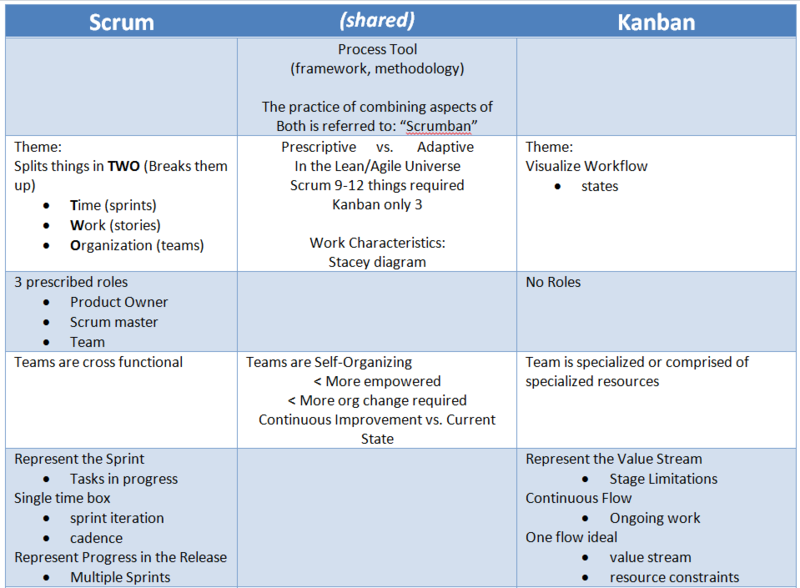 Scrum teams often have to use this disruptive innovation to focus at a level of thinking. Are we tasking? Or maybe we are using this next (some-time box of) minutes to talk about and clarify our stories, features, epics, releases, product, or portfolio? Now, as a manager or a project manager, I occasionally hear something that goes to the effect. ‘Why are my developers in a meeting? They should be coding 100% of the time” I try not to sigh noticeably. This, is after all, where the some of the organizational terra-forming begins. It can be a mistake made by some traditional practices. It is more surprising to continue to uncover this years into an agile adoption. But make no mistake, I am always glad to bump into it. We can’t get to the correction which makes it right until we are speaking openly and truthfully. There is an echelon of QA and test professionals that echo this mantra. However, I’m not usually the first to bump into the mentality – which means it is rather a rigidness of thought that has a tendency to persist until it meets with its paradigm shift. Some one buried in activity has little time to change how they work, let alon how they think. We advocate and support it should be expected instead some time is spent to focus on improving how we work. Kaizan. 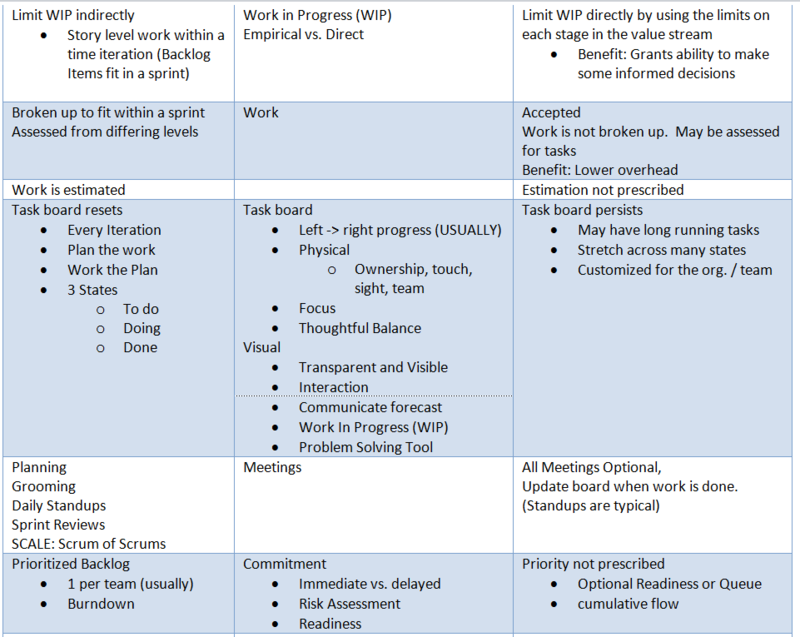 Agile does more than just re-arrange the way we do our work. It changes how we think. Software is problem solving and some pretty hard thought work. If there is a difference between achievement and activity – the axe that we should spend some time sharpening – it is our own minds. Other tools and processes certainly fly into the mix, but the interaction still leverages our ‘thinker’. A rigidness of thought. The thinker might have stalled out. Ever meet that contrarian person? Just so negative all the time? To go the opposite extreme and be perennially optimistic can sometimes lead to solutions which might not be robust. We need everyone to be agile thinkers to get this software to done. I think I can… I know I can set aside my hard hat as we improve the software, ourselves, our team, and the organization. There are still teams running waterfall. For certain processes – waterfall may work just fine. For software development, however, this is becoming a rare sighting. The paper written by Winston Royce in 1970 described a process for getting software through an organization. The term ‘waterfall’ itself would be coined 6 years later. We often joked that a point of no return would come and the software would often be pushed off the ledge and into the customer’s hands. The customer very often saw it for the first time after several months or more were spent hidden in the depths of the company while it was being created. – of course it will silly. Fear stalls and halts us. Often adapting scrum after running waterfall causes initial chaos, and will make it worse -> because problems will be uncovered and exposed. 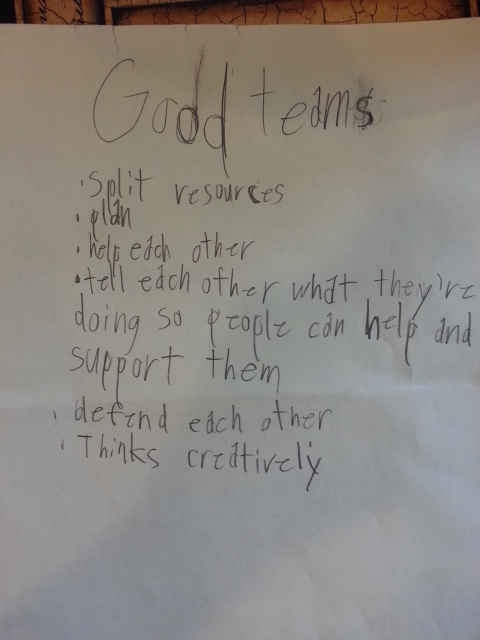 We then rely on the teams, THE PEOPLE, to solve those problems. It takes a certain thinking to be agile, to work in teams, and to continuously improve. Fear doesn’t help any bit of it. To be agile denotes an active participation in moving forward through some obstacle laden terrain. A waterfall allows us to sit back relax and simply be swept away by a current until it is too late. So, HECK YA! Get excited about seeing those problems. Unless we get to the truth and start solving them – we won’t be getting any better at this. There is never a perfect time to adopt a better process, -there is only now. Ever in the middle of a release, or just having negotiated the large requirements for the next release – a program may have reluctance to change. The risk, may seem too high when all our requirements for the next six months have our customers in lock down and bound. Running with agile teams has a certain side effect that you cannot discount. Besides the numerous ways agile actually REDUCES your risk, your organization is now investing in having some great teams. Over times these teams will change the characteristics of the organization. In his book Scaling Software Agility, Dean Leffingwell spends his entire second chapter explaining why Waterfall doesn’t work. Just after that introduction to agile methods. Knowing how fearless most quality assurance/testers have been on some of my teams I have come to cherish plain words. The ability to simply tell it like it is. Just the facts, while NOT stopping here. It is another starting point. It always helped to dig into the problem and start moving towards a solution together. The wisdom in the tests wasn’t to say the software was broken and throw it back over the wall. Instead it was in the collaboration of multiple roles seeing it at the same time, making it a better solution for the customer who needed it. Can you go around, over, under it, or iterate through time? Ender’s Game has a zero gravity room in which there really is no up or down – just an orientation around where the problems are. Kids are left to explore that context and find different ways of getting around. Context and situations, call for different strategies and tactics. Exercises like brain storming, or using the five whys are now often intermixed with daily activities instead of separate and distinct activities with the teams. We are developing individual and team skill sets as we don’t just ‘go get there‘ but instead ‘grow to get there’. We can never go fast enough, we are never truly ready, just perhaps we are ‘ready enough’ with the resolve to continuously improve. Why so much focus on the problem and then simply walk away? There is a bystander effect which can indicate the cohesiveness of the group. Many simply find it easier to by remaining a critic. In the critic’s voice you get to be part of an elite group that establishes a hierarchy over some other group. Active participation, suggestions and alternate solutions are far more preferable. The best teachers share. The behavior to get ramped up and even show emotional venting doesn’t strike me as productive and often hurts the situation. Switching over to better adaptive behaviors to solve problems should be emphasized. Have the calm and experienced understanding to move through it with a state of grace. Teams should be problem solvers, the best solutions do not come from being defensive, panicked or fearful. They come instead from drive, passion, creativity, inquisitiveness… If you want to continue to foster this in your environment, then some recognition and reward is also important. Can a person be an impediment? I have always separated a person from their behavior. I like people! There are some behaviors I don’t care for. I don’t list a person as an impediment. It’s too easy of a stereotype and doesn’t tend to solve the problems we are having. Selecting a scape goat or blame and then walking away is not helpful. Role assignment, support, responsibility, processes, visibility, convergent expectations, aligned goals all are things that might help. Things we can TRY, and still continue to move forward. A person however can solve the problem, a team even more so. Very often techniques like the five whys left us in silence where there was no longer deeper knowledge to draw from. It is often hard to bring a context you have never experienced as a possible solution. We speed up this process of extrapolating solutions from experience by communicating ideas in a group and sharing that richer set of contexts for the entire team to draw upon. We even communicate in abstract development patterns and have some pretty common ones. Sometimes we bring in architects, subject matter experts or coaches depending upon where the impediment exists. In the movie Ender’s Game, Ender winds up with someone on the team who steps forward and tells Ender he doesn’t even know why he is there. The two boys don’t even like each other. Ender’s reply is that he is there to make the team better and responds with his own question – Is he wrong? Assuming even none of these problems, and as part of an agile effort we have a loose collective of particles. I have seen two particles – or people argue and I had to interrupt them both with a laugh… they were really agreeing with each other (quite vehemently) but neither paused to consider the context from which the point came. The perspective individually allowed for both of them to be right… How? Are we at the same perspective or level? – details, tasks, stories, epics, product, portfolio. Maybe role, team, program, organization, community. Possibly impact, resources, scope, priority, knowledge, risk. What about minutes, hours, days, weeks, sprints, months, quarters, years? The aforementioned argument had two different time contexts in mind. Both had two quality concerns but one was for today, the other was for for the next several sprints. It was a false dilemma that both their solutions would be mutually exclusive. Check out a list of errors in logic sometime. Poisoning the well, hasty generalization, shotgun argumentation and Nirvana fallacy are common enough. Both people were absolutely so focused on delivering great software that they overlooked a few things that might have made their collaboration easier. I always like people. There are some behaviors I don’t care for. Some thinking can be changed… some can’t. Is it responsive behavior, or deeply ingrained personality, – what level of thinking is it? At times I want to drive back to the motivation, and though I cannot always address it, if I understand what is going on, I am far less fearful and far more effective at suggesting and taking some course of action to make it better. At times this is my imperfect perspective at what is happening and why – but then I tend to over think things at several different angles. Some movement forward is as important as the right direction. I look to myself to balance things gently, observe if they have gotten better or worse. And In All This Communication – Did We Forget To LISTEN? This is the other side of the coin. There is a GREAT book by Mark Goulston called Just Listen. In it he also describes the various layers to our own mind. From the reptilian, reflexive, primitive to the higher functioning and cognitive. Some times we are so bent on ourselves and proving a point that we forget the simple courtesy of allowing others to speak to their concerns. We loose the ability to influence others if we were to stop, shutdown, and disengage. We also forfeit our own opportunity to grow. When many people get together and have a passion to create the best software possible, they can always have collisions. Mutual respect for everyone’s craft, expertise, and human being. By ‘being’ I mean our ability to learn and grow. A human been, as one college professor liked to say, has assumed room temperature. Allowing someone to grow by necessity includes a certain amount of forgiveness, of forgetting. Things and people moving at the speed of agile – need themselves to be dynamic, and would be unfair to hold them to a static view. 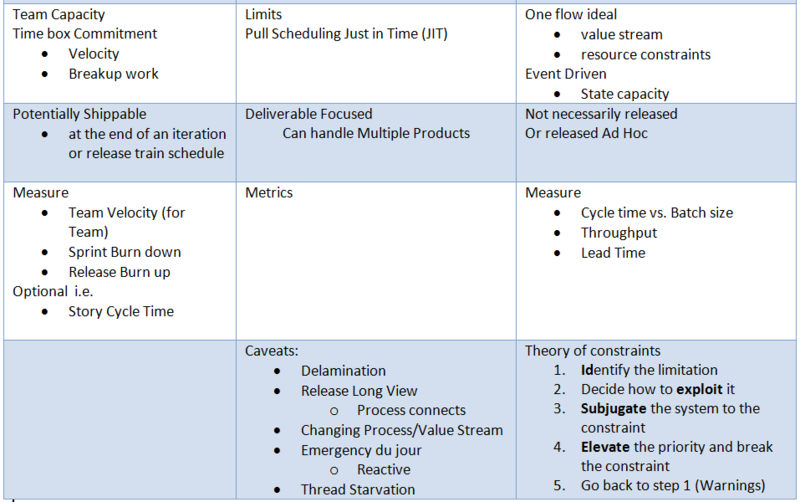 Just like for the organization – it is the rate of change we are measuring. So in all of this we remember every once in a while to keep our heads up. Heads down activity all the time does not always allow for continuous improvement or learning. Taking the time to make the software, the tools, processes, team, or organization better. There needs to be some balance in all of this. When these are opportunities we should take hold of them. Looking ‘oppositionally’ at each other across some problem chasm is never as effective as standing side by side – looking in the same direction and solving it together. That latter achievement together will build trust, and allow us the chance to collaborate at a dozen different levels. And at last – if you have to let off some steam – Find creative ways to wash over it. I have known teams to use Rockem-Sockem robots, Fuzeball, paintball, or a lan party to get past something pent up and laugh. Any interrupt to our communication is just another impediment to be gotten around and moved past.